In this article we are going to discuss an issue which has almost certainly affected every single dancer at some point in their lives: asking people to dance. Firstly, I’d like to spend a few words addressing the much thought over question of “who can ask who?” Here’s the short answer: Everybody can ask anybody! It’s as simple as that. You will not be thought of as ‘pushy’ and your offers will not be unwelcome, let’s face it… it’s lovely to be asked. 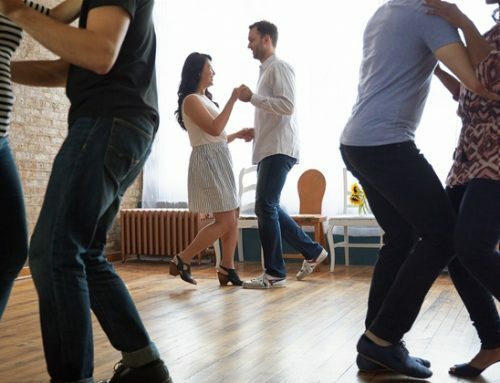 Now, let’s tackle some of those dance floor anxieties: Whether you are younger or older, experienced or brand new, male or female, lead or follower… we’re betting that at some point, you’ve worried about asking somebody to dance. We know there are loads of totally understandable reasons why taking the lead in this area can be a daunting prospect. But, as you may have guessed, we’re here to tell you to bite the bullet and go for it anyway! Let’s deal with that first one shall we? To get straight to the point, sometimes people will say no… and that’s okay! There are so many reasons why this might happen so don’t read anything negative into it. If somebody declines a dance with you, just say: “Okay, no worries!” and the chances are that they’ll come and find you, next time they do want to dance. So, on to objection number two… what if they say yes? You might be worried that your target dance partner is more experienced than you. Well, don’t be. Dancing with people with a higher level of experience is a fantastic way to develop your own leading and/or following skills. No matter who you are, you will sometimes make mistakes while dancing; your dance partner will not think less of you. Remember: this is social dancing and it is supposed to be fun! So what if you don’t execute every move perfectly? This is not performance dancing and nobody is expecting you to be flawless. The most important thing to remember is that every dancer has the same insecurities and is there for the same reason: to dance, socialise and have a good time! 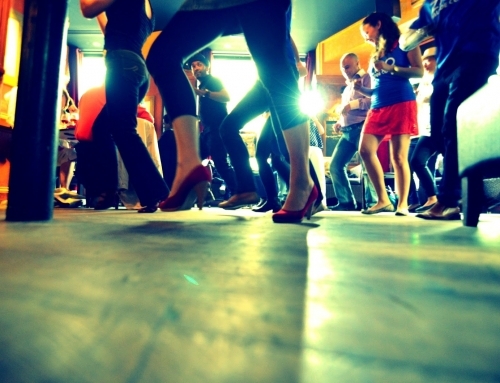 Taking the initiative and asking other people to dance will make you seem more approachable too. If you can summon up the courage to do this a few times, you will soon find yourself being asked more often in return. So, next time you consider asking somebody to dance, don’t think about it… just go for it! We promise you won’t regret it. Backseat Teaching: Why you shouldn’t do it!